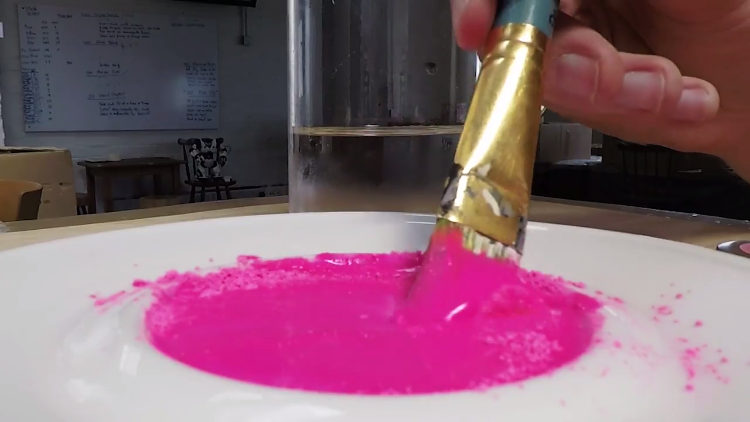 In a vivid episode of “Things You Might Not Know“, the ever-curious Tom Scott explained why computers aren’t able to capture the true intensity of rich pigments as he mixed up a batch of “The World’s Pinkest Pink” powdered paint by artist Stuart Semple. There are all sorts of complicated and clever ways that computers can store colour, but by the time this video reaches your screen it’s basically just a series of numbers that say how bright to make each of the red, green and blue pixels, the tiny lights that make up your screen. And unless you’ve got a really fancy, expensive screen, those numbers run from 0 to 255 — which is eight 1s in binary. 0 means turn the pixel off, 255 means as bright as it can go. That means your screen can show somewhere around 16 million colours. But that’s not every colour.